New York, January 13-16, 2019. Clémence Decouvelaere, Critizr's Head of Sales for France, was on site for THE retail gathering of the year: NRF. This was the perfect opportunity to participate in retail tours and test out major innovations from American retailers—clear sources of inspiration for anyone in the industry. What are the newest approaches to try? And more importantly, what benefits can you hope to gain in terms of in-shop customer experience in the new year? 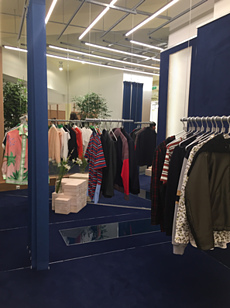 Join Clémence for a guided tour, where she identifies the four main American in-shop trends for British retailers to follow in 2019. It's a fact: major retailers have learned that the concept of service must extend beyond the boundaries of technology. The human aspect is at the core of customer experience improvement strategies in 2019—more than ever before. From greeting customers to tracking customer relationships, interpersonal interactions are a fundamental consumer expectation. Clémence observes that salesmen have not been replaced by robots, but they are present and available, with an increasingly larger role to play in fostering discussion. Technology has become an intermediary for interpersonal relationships, and this trend is expanding in 2019: when it comes to putting knowledge at consumers' fingertips, tablets have become allies for salesmen—in particular at Glossier. In one click, these tablets offer an overview of inventory, expert tips and even payment processing. This is a real time-saver for customers, who now receive help from the same person from the beginning of the buying process to the very end! 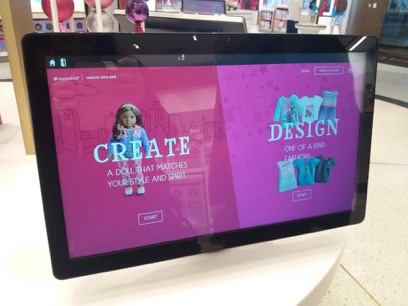 For retailers, this provides a system for blending human interactions with digital tools, a practice that is certain to quickly become common in the UK. 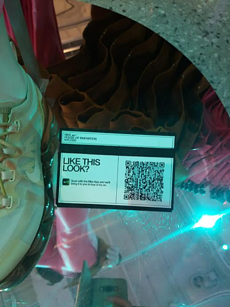 At Nike, Clémence realises even before entering the flagship that "Human to Human" and interpersonal interactions have become highly advanced. 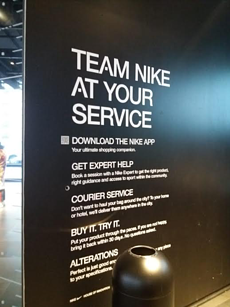 Through the Nike app, customers can reserve a session with a Nike expert for a custom shopping experience. In 2019, the in-shop experience will need to be interpersonal and customised, from the perspective of both customer-assistant relationships and product selection. The personal shopper 2.0 also connects human and digital aspects, giving customers a feeling of premium help. There was a time when the web took inspiration from brick-and-mortar shops when creating online shops. Today, physical points of sale take advantage of the power of the web to offer the highest-rated products by promoting the most flattering customer feedback. To choose the right book or home decoration, Clémence need only take out her smartphone and check online reviews through Amazon Books. After all, 88% of people who use the internet check customer ratings when planning a purchase, whether on site or online. Following this observation, Amazon has decided only to market the highest-rated products in store by promoting them with real customer reviews. As a result, customer voice has a greater in-shop status in 2019 than in previous years. 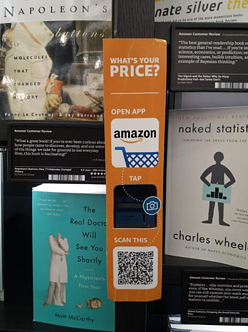 Customer reviews are now displayed in the place of descriptive price and product packaging, which has become secondary and must be researched by consumers (by scanning the product to see the price, for instance, with the Amazon app or an in-shop terminal). 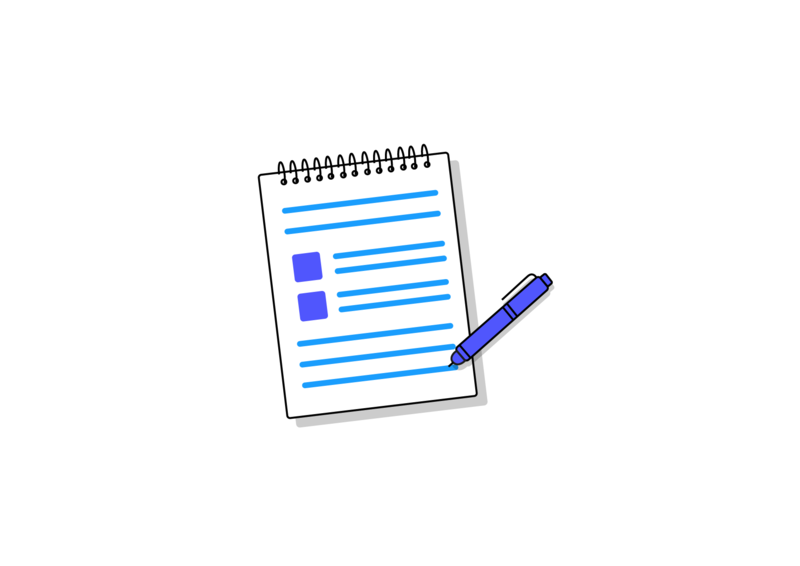 For customers, public feedback has become an important deciding factor. What if the in-shop customer decision process also adapted according to feedback from other customers ? British retailers, don't wait any longer! Amazon has already set the trend! A very popular strategic approach in 2019 is differentiation by hyper-personalisation. These days, customers are increasingly looking for differentiated and personalised in-shop experiences—as much in the final product as in its production processes. 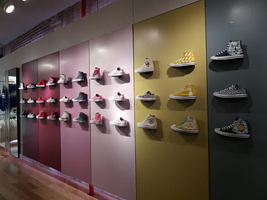 At Converse, the space dedicated to hyper-personalisation now takes up the whole basement of the shop: beyond merely customising their shoes, customers can now choose their fabric, their soles, and even the colour of the logo printed on their products. In 2019, now more than ever before, the major trend to remember is that a unique product means a unique experience! 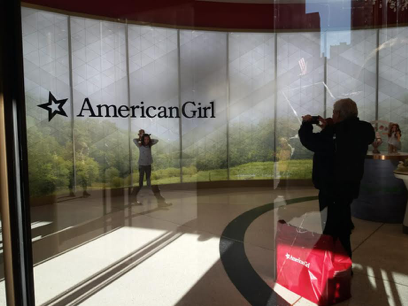 This strategy is used in the U.S. from even the youngest age: at the American Girl shop, children can create personalised dolls that look like them or how they dream of looking, directly from a tablet connected within the shop. Although British brands are developing more strategies for customisation, it is in the United States that Clémence has encountered the greatest audacity and ambition in concepts imagined across every customer segment. 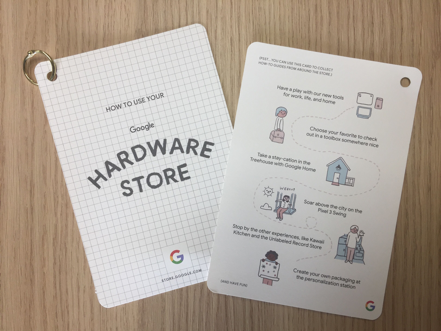 From shoes to dolls to personalised gift wrap, Google offers in its pop-up shops, the unique aspect of products and services can only improve customer perceptions of their buying experience. 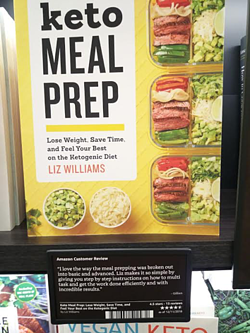 This is a good source of inspiration and reflection for retailers who want to go from customisation to hyper-personalisation and made-to-order, directly within the point of sale. The final trend that resonates in the United States is the expansion of experiential aspects throughout every kind of shop. 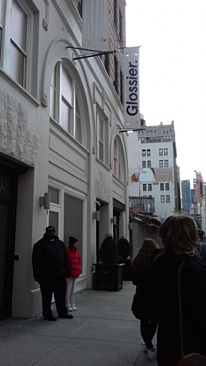 This long lead that the U.S. has over British retailers can be felt within shops, which have become places shoppers visit not only to consume and spend money, but to spend time memorably and have unique, gratifying experiences. 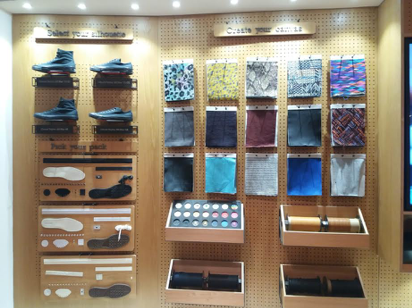 For customers, the in-shop experience must be above all emotional. 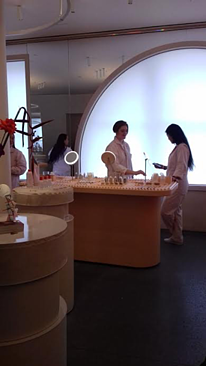 In the U.S., Clémence discovers that at Casper, a pure player in the sleeping space, the unique experience offered is a 45-minute nap to test the product at the point of sale before purchase. 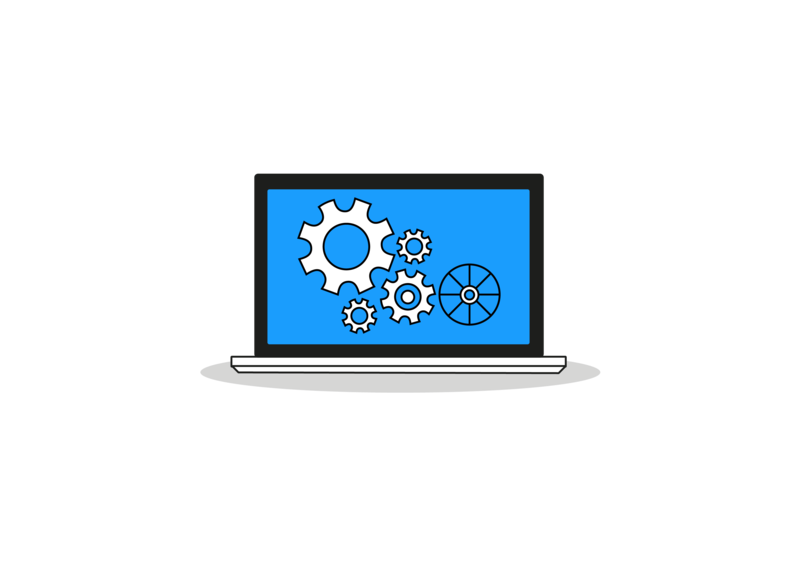 When the pre-purchase experience is tied to customer habits and environments customers can recognise, that becomes the gauge for whether customers can easily imagine themselves using your products! 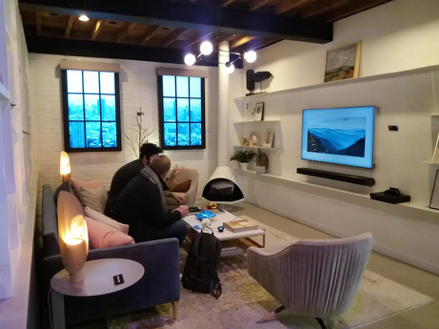 The Google pop-up shop and Samsung concept shop are also conceived as connected homes that showcase the companies' main products: from a living room equipped with connected tablets and televisions to a kitchen with a smart refrigerator, not to mention sensors on doors and windows indicating whether they have been properly closed. 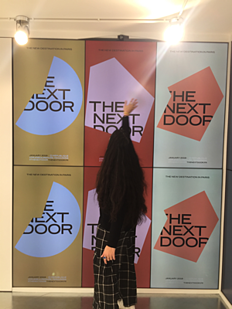 American retailers understand that the goal is not merely to display products customers can use in their homes, but to demonstrate how their future will look when it's fully equipped!  You have no doubt gathered that the main theme in the U.S. in 2019 is anything experiential. This marks the end of traditional shops where passive purchases have been the norm in recent years. These shops are being replaced by concept shops where customers take an active role by testing and personalising products, always with the goal of giving them experiences, instead of mere transactions. In the U.S., regular shops that have been converted into concept shops apply four trends that should inspire British retailers. Combine human and technological aspects of the buying experience, promoting customer feedback at points of sale, giving customers the ability to create made-to-order products and converting shops into completely separate living spaces.